Mermaid patterned hot water bottle cover with gold metallic highlights. Lined with white fabric (shown as background) patterned with gold metallic stars. 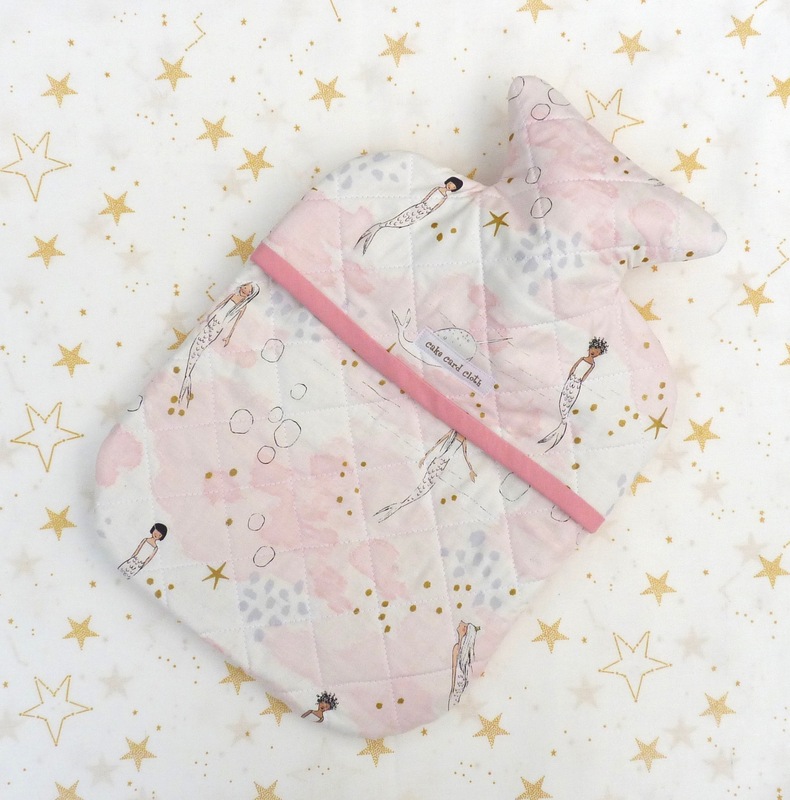 Padded with 100% cotton wadding to make this hottie cover warm and cosy. All materials are 100% cotton quilting fabrics.